Brakes have the very important task of bringing your vehicle to a complete stop in a quick, controlled manner. The braking system is relatively simple, requiring several components. When you put your foot on the brake pedal it uses a power booster to transfer force to the master cylinder. The master cylinder then forces brake fluid through lines to wheel cylinders, or calipers. The caliper squeezes the rotor between the brake pad and the wheel to decelerate the vehicle. As a result the vehicle slows down and the harder you press on the brake pedal the faster the vehicle will stop. Sometimes brakes can wear down faster than normal, especially in the case of “two- footed” drivers; those who dedicate using their right foot to work the accelerator and the left to the brakes. The habit of driving this method is usually to rest very slightly on the brake, unintentionally applying a little pressure between the brake pad and the wheels so they wear out faster. It is therefore a good idea to avoid such habits to ensure that you are not wearing out your brakes faster than normal. If you do notice anything out of the ordinary take your vehicle in for a brake inspection and service them if necessary. In most modern vehicles, the only thing you need to pay attention to concerning your brakes is the dashboard light. If there is anything wrong with the brakes it will glow amber or red to alert you of the need to take your vehicle in to get your brakes serviced. Even if the dashboard light does not come on, however, should you notice anything unusual such as squealing or sponging it is probably a good idea to take your vehicle in for brake service, if only for the peace of mind. Usually if the dashboard light remains off there isn’t a severe issue with the brakes; they do wear down naturally over time and will need to be checked occasionally to ensure they are in good working shape. Canadian winter roads can be treacherous, especially in the mountains of BC where conditions can change rapidly and with little to no warning. It is crucial to properly maintain your brakes so they are working at an optimal level in order to keep you and your passengers safe, particularly in inclement weather conditions. 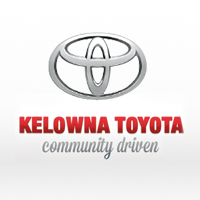 Come down to Kelowna Toyota and our staff will be happy to assist with any brake service needs you may have. We are located at 1200 Leathead Road, Kelowna, BC V1X 2K4 or you can call our expert Service Staff at (250) 491-2475 to answer any questions.